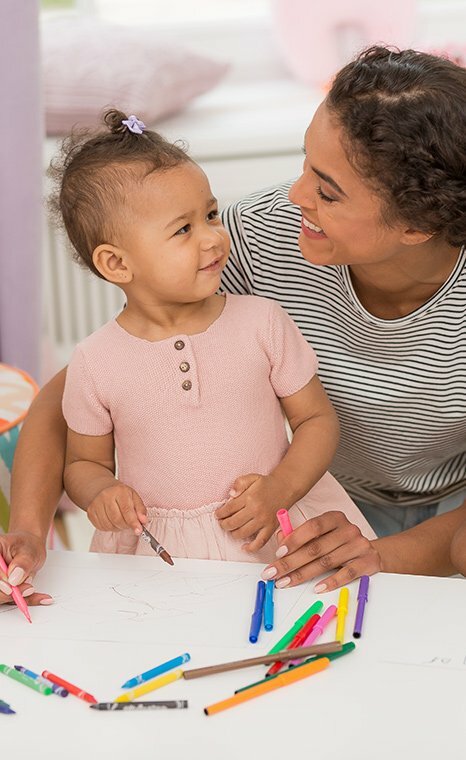 Your baby has already begun showing signs that she understands that certain actions will bring about certain results. She now repeats such actions over and over again with a look of satisfaction and a wide smile on her face - she is slowly realizing that she has control over things. Now your baby processes more complex information and remembers for a longer period – even up to a week. For instance, she can remember how to move a stroller toy she previously succeeded in moving. However, if you move her into a different position in the stroller or change the dangling toy, she'll have to learn this ability all over again, though the learning curve will be much shorter. In other words, your baby still cannot apply what she has learned to similar situations. Another important cognitive achievement is beginning to understand object permanence: the knowledge that even if an object is no longer in sight, it continues to exist. This is the foundation for all higher thought processes – recollection, imagination, or the ability to think of something or someone that is not physically there. Begins to understand causal relationships and realizes that he has control to make things happen. Can remember things he learned, but cannot apply the same knowledge to similar situations. Begins to develop object permanence. 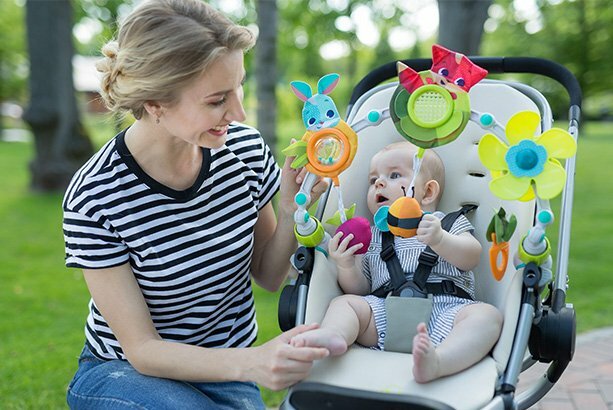 Offer your baby the opportunity to practice solving problems and understand casual relationships, such as hanging toys and rattles, or anything where he must decide what action to take to achieve a desired result. 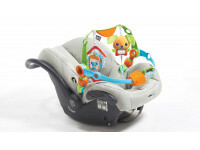 From 5 months: Partially conceal an object or toy and encourage your baby to look for it.